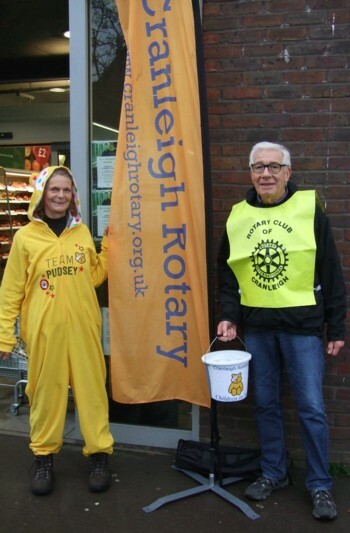 On Friday, 16 November, Cranleigh Rotarians were out in the village collecting on behalf of Children In Need. 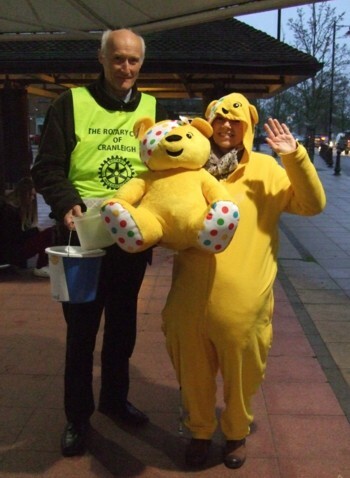 Several Club members brightened up the gloomy weather by wearing yellow Pudsey outfits. More than £600 was raised by the street collection with another £96 from the raffle. Large Pudsey Bears were won by Mrs. C. Tickner and Mrs. Watson, with Don Nunneley winning a small Pudsey and Janet Poll winning the Fairtrade chocolates. Many thanks to everyone who contributed toward this extremely worthwhile event.